Can't make it to our Fall Factory Sale in Beacon, New York this weekend? 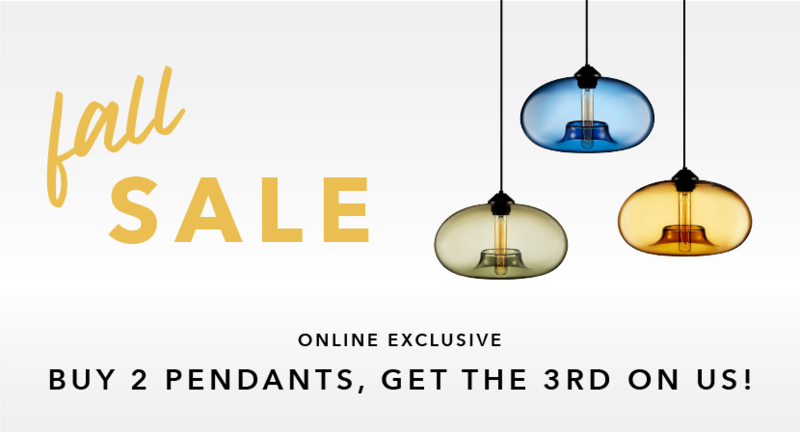 You can still enjoy the sale from home and save on hand-blown pendant lighting. Sign up to receive your exclusive code to use at checkout. For every two pendants you purchase, get a third one for free. * This offer is valid from Friday, October 12 until Monday, October 15. *Some exclusions apply. See official rules and regulations for details.